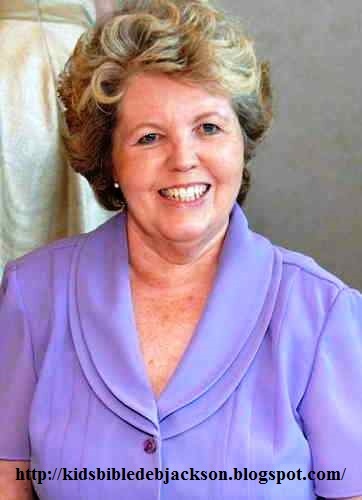 My Sister-in-Law Cathy Whitacre loves to use her visuals on a magnetic board. I have created a set of these for King Josiah. Cathy's lesson is included and used with permission. To use this set on a magnetic board, Print the pieces you will use. Cut them out and laminate. Add thin magnets to the back. Start with the title, which is the crown for Josiah, then add and take away the pieces as you teach the lesson. The abbreviated lesson and instructions are included to help organize the pieces. But, you will probably want one of the lessons below (or your own) to use. Click here to print the magnetic board visuals. Cathy has this temple puzzle with Josiah. I left spaces between the parts so you can see how she cut hers. If possible, use a poster board size (or half of a poster board) and enlarge the template to create yours. The kids would love this, especially if you have a couple of them. They can put them together on the floor. For something different, you can discuss how to treat the church building, or how to act in it, or acts of worship. This can be used for so many lessons. The template is left plain and can also be printed for the students to cut and create a puzzle. 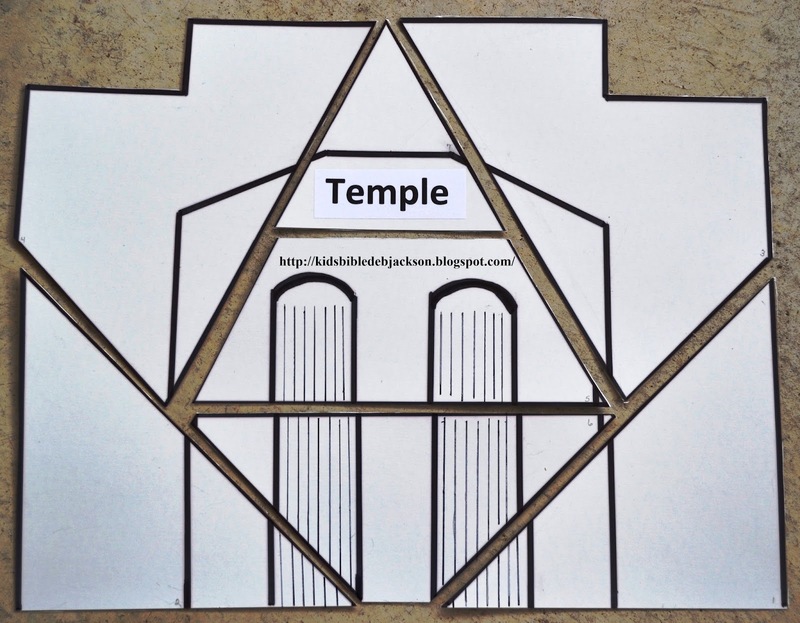 Click here to print the temple template. Click here to see another post about King Josiah with visuals, worksheet, scroll and more. Click here to download Cathy's King Josiah lesson. i love the lesson but the fact that i cannot print the lessons out on regular letter size paper because you feel they need to be a scroll makes them impossible for me to use.